Hot gas lines shoulc rise above refrigerant level in condenser circuit. Trap should be installed on hot gas lines to prevent condenser oil and refrigerent vapor migration from accumulating on the compressor heads during off cycle. 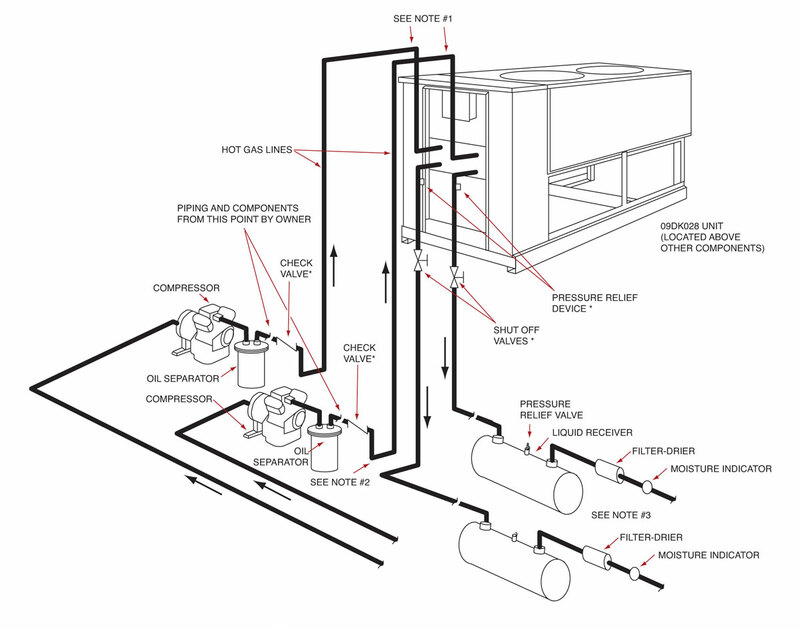 Refer to Carrier System Design Manual, part 3 for proper piping sizes and design. For piping lengths greater than 50', provide support to liquid and gas lines near the connections to the coil. call the Advantage Service Department at 317-887-0729. Would you like to Download FYI #172 to your browser?